The production prototype of the Transition flying car — set to be shown off at the New York Auto Show this week — took its first test flight recently, bringing closer to reality the possibility of flying home from work and parking in the garage. With a $279,000 price tag, however, it's not sure how many people will want to risk driving it along a regular road. Stick some wings on a car and it’s still a car, albeit one with wings attached. Before you can truly call a flying car a flying car, some brave soul has to be persuaded to climb inside and try flying it. If it gets off the ground, and returns safely, then we have ourselves a flying car. 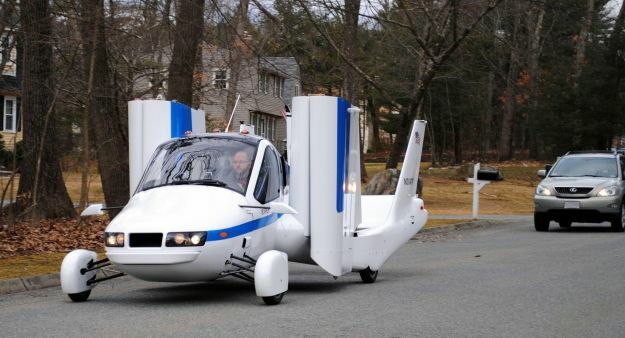 It looks like the folks at Massachusetts-based Terrafugia Inc. have themselves a flying car. The company has completed the first test flight of the production prototype of its flying car, staying in the air for eight minutes at an altitude of 1,400 feet, the AP reported on Monday. Terrafugia’s six-year flying car project has experienced a fair amount of turbulence along the way, with both legal and technical obstacles having threatened its development, but news of the successful test flight is a great leap forward. The vehicle, which comprises two seats, four wheels and wings which fold up along its side, has already generated a great deal of interest among drivers/pilots. The AP reports that so far about 100 people have put down a deposit of $10,000 for the Transition, though this figure is expected to jump when it’s shown off at the New York Auto Show later this week. 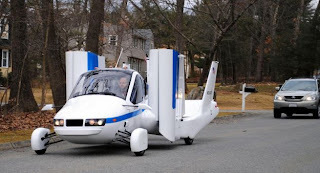 Terrafugia’s flying car, which comes with a $279,000 price tag, can reach speeds of around 70 mph on the ground and 115 mph in the air, and runs on unleaded automotive fuel. As a car, it can do 35 miles to the gallon, while off the ground it burns five gallons an hour. To help make the Transition a reality, the company had to get permission from the government to use special lightweight tires and glass in its build. To fly it, pilots will need to pass a test and complete 20 hours of flying time. Terrafugia’s chief test pilot Phil Meteer was understandably upbeat following his first experience in the Transition. Check out the video below to see the Transition being driven out of a garage, filled up at a gas station and taking to the skies. 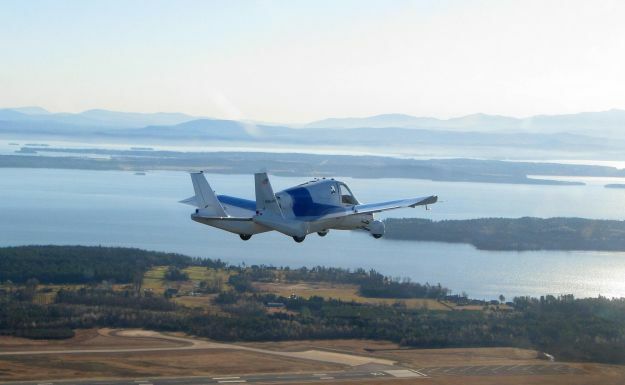 The company hopes to begin delivering the flying car at the end of this year.